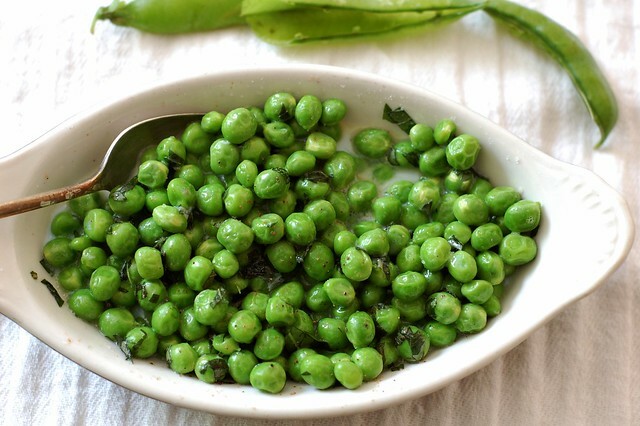 I've been wanting to make these peas ever since I first read Kristin Kimball's book, The Dirty Life a few years back. The combination of the nutty, sweet peas cooked in milk and butter and tossed with a bright confetti of fresh mint and a liberal sprinkling of sea salt sounded very appealing. 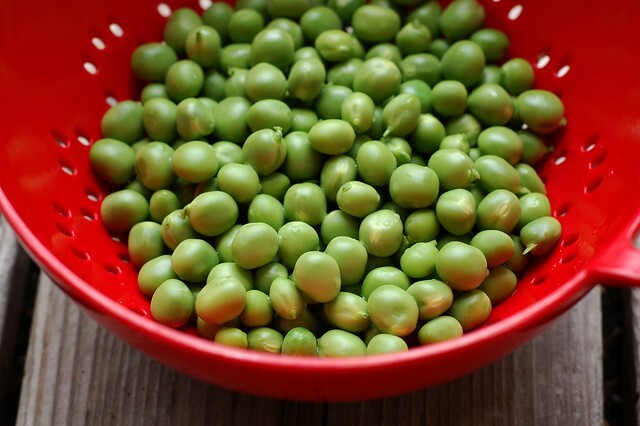 So when I saw peas at the farmer's market last week, I filled a bag. 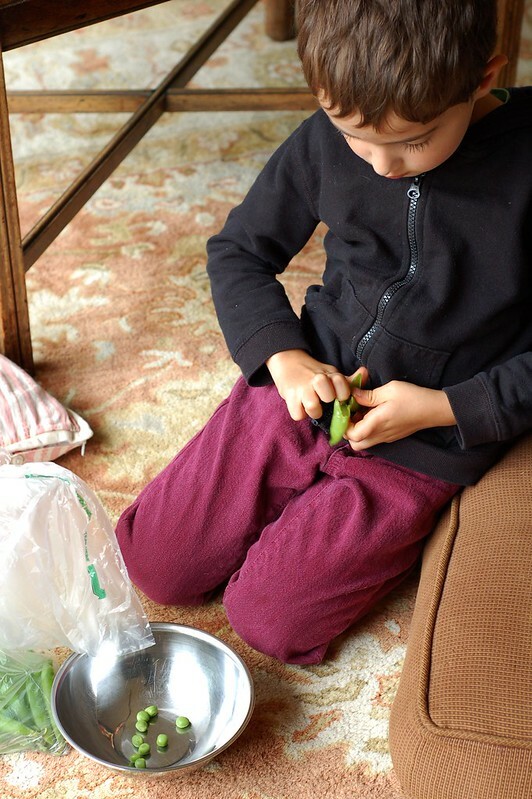 Will really enjoyed helping me shell them - it was a perfect activity for him - they were easy to open and there was that little surprise of seeing how many peas were hiding inside each pod to spur him on. He LOVES math. Reading, not so much... In my saner, less judgmental/impatient/anxious moments, I'm hopeful that he'll get there eventually since he loves books. Anyhoo, we got our peas shelled and we were both happy which is nothing short of a huge success in the realm of parenting. That done, I put a hunk of butter in a pan of milk and turned it on low. While it heated, I ran outside to pick a little mint from the plants I planted above our tiny stream last summer. With all the rain we've had lately, the plants have grown so large that I only needed these three leaves to have enough. When I got back inside, the milk was hot but not boiling so I threw the peas in to cook for a few minutes. I kept testing them to see when they were just soft but not mushy. Then I removed them with a slotted spoon, tossed them with a couple spoonfuls of the milk and the chopped mint and sprinkled with salt and pepper. Verrrry tasty. We ate them as part of a hodgepodge lunch that included pesto pasta, pickled turnips, and a delicious green salad with roasted beet we just harvested from our garden (!) and goat cheese. I saved the leftovers in the buttery milk I'd cooked them in and then turned it into a lovely little soup the next day by sauteing onion, adding a cubed potato, some vegetable stock, a bay leaf and letting it cook for a few minutes, then dumping in the leftover peas in milk towards the end and topping it with a splash of heavy cream and a handful of chopped basil and parsley from our garden. File that away under #LeftoverLove (or just roll your eyes if you think hashtags are asinine and sophomoric). 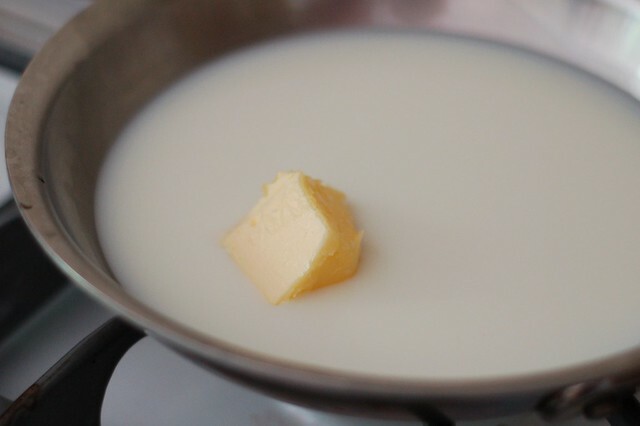 Heat the milk and butter over medium heat in a saucepan until hot but not boiling. 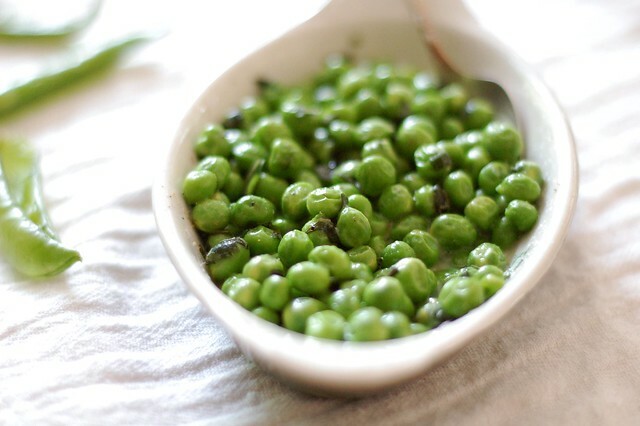 Add peas, salt, and pepper, and gently simmer until the peas are bright green and soft but not mushy. 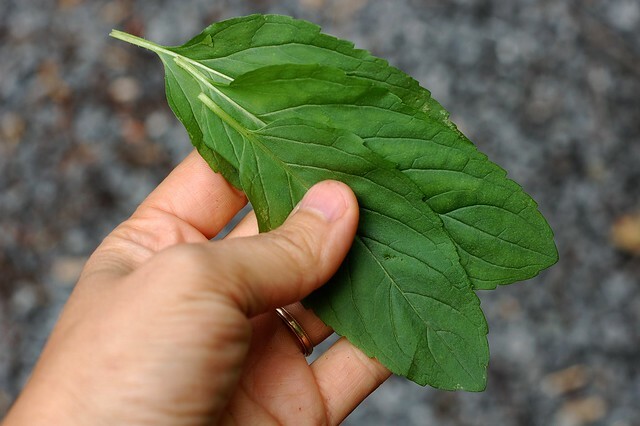 Remove from heat, add the mint leaves and salt and pepper to taste.